With lions, elephants, rhinos and other iconic African animals under threat, what's being done to save Africa's big five? 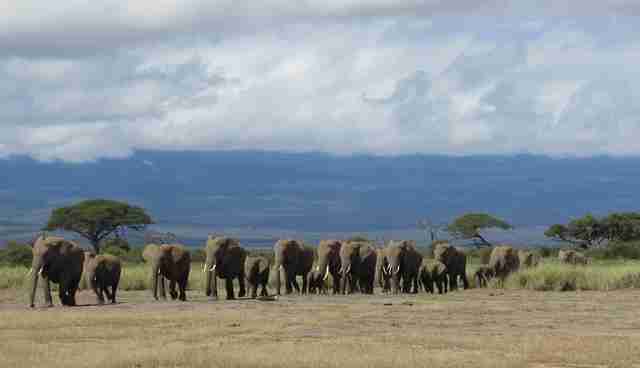 Well, across Kenya every day a flying Vet Team, Sky Vets and four Mobile Vet Units are doing their bit to save a magical corner of Africa and its wild inhabitants. 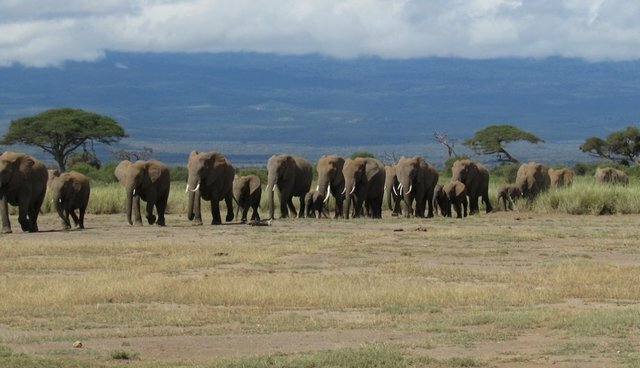 Operated by the David Sheldrick Wildlife Trust in partnership with the Kenya Wildlife Service, last month the units treated 15 elephants among other wild animals including lions, giraffes and rhinos. That's 15 elephant lives directly saved and indirectly, the lives of any babies they might have -- every elephant life is precious, especially in today's Africa. 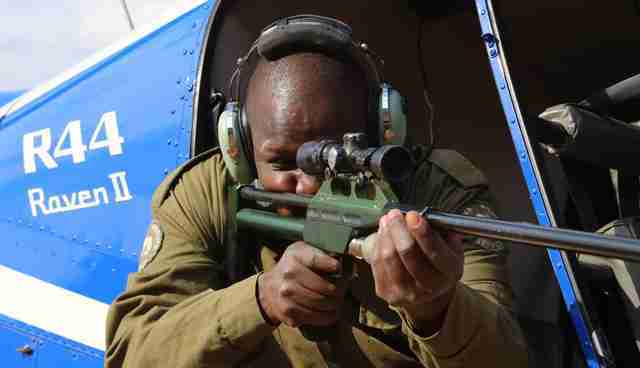 Staring down the barrel of a gun, you might think he's a poacher. 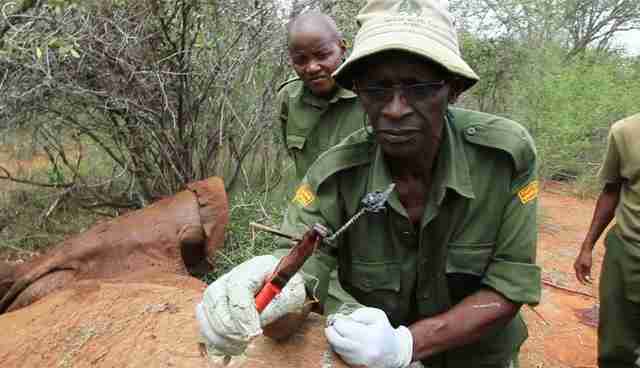 But he's actually a Kenya Wildlife Service Vet working in partnership with the David Sheldrick Wildlife Trust to save Kenya's wildlife. Snares are used by bush meat and elephant poachers, causing excruciating pain and sometimes death. 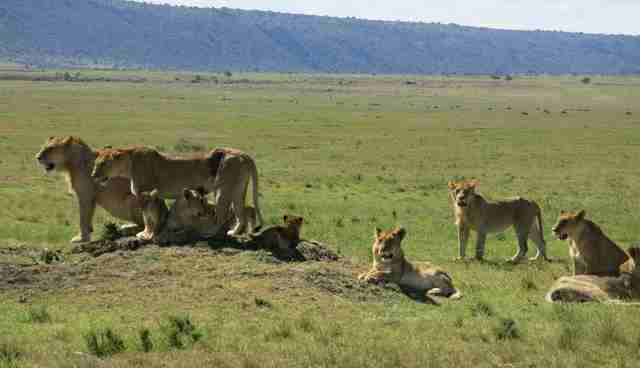 The kings of the jungle are facing severe population decline, with just 25,000 to 30,000 lions left. This lioness (and her three dependent cubs) were lucky; treated and reunited with her cubs, she is now fully healed. 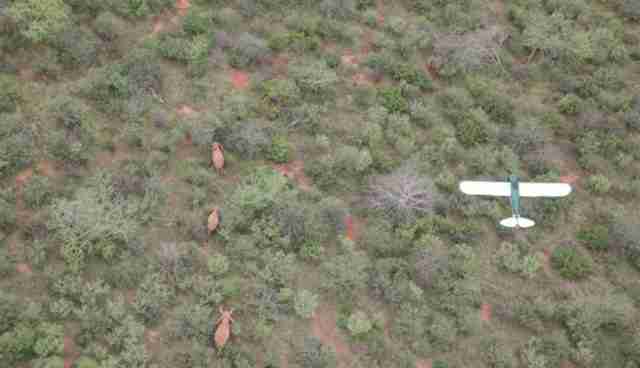 Aerial Surveillance identifies and locates injured elephants and other animals in an area the size of the US state of Massachusetts. Wounds caused by poisoned arrows used by poachers are deadly if left untreated. Unfortunately, not every animal treated is guaranteed to make it. Some animals are too far gone, their wounds too extensive. In such cases, the vet can at least bring their suffering to a peaceful end. But all wildlife is special and priceless, and each life saved gives threatened species a boost. At the end of the day, says Dr. Michael Njoroge, Amboseli Mobile Vet, "working as a wildlife veterinarian is challenging, but it gives a lot of satisfaction when you save a life and ensure our national heritage is preserved." 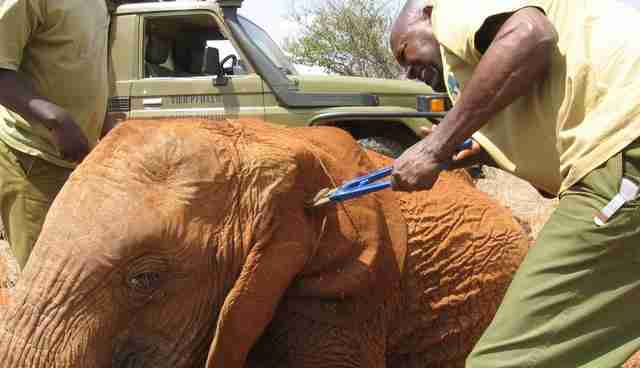 Find out more about the struggle to save Kenya's wildlife, visit www.sheldrickwildlifetrust.org.